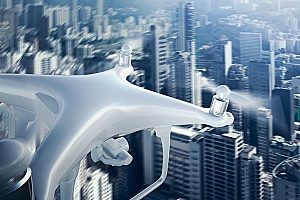 Unmanned aerial vehicles (UAVs, or drones) are fast becoming one of the most important pieces of equipment to some businesses. For many, drones rank right next to computers and cell phones. Even with the growth in commercial use, plenty of people use them recreationally. Drone racing is becoming a popular sport and even has its own national championship events. With the fast growth of possible uses for drones, the risks of accidents, injury, and property damage increase as well. You do not need much of an imagination to recognize the dangers inherent in flying robots. For whatever purpose you use drones, make sure you have adequate insurance to help protect you against damage claims. What type of insurance is available for drone activity? Owners and operators need, at a minimum, liability insurance to cover claims against the drone owner and operator for bodily injuries injury and damage to other people’s property. Hull insurance is important to cover damage to the drone itself. Payload insurance covers the cameras, sensors, and anything else that is carried on the drone. Even the owner and operators of the venues where drone activity is common like sports stadiums and drone ground stations should look into special coverage in light of the increasing likelihood of drone accidents occurring on their property. Below is a description of some popular and fast growing uses for drones in 2018 along with the most common incidents of damage resulting from it and the type of drone insurance necessary to cover it. This list is far from complete; drone activity is fast becoming a part of nearly every industry around the world. It is imperative that your business maintains insurance that covers the risks present in your drone activity. Aerial drones outfitted with state of the art camera technology are capturing moments in sports that hand held devices cannot. The angles they can get provide unmatched visual drama for spectators. Drone photography can also help the athletes and their coaches study film of games to improve game strategies. The sports industry has already experienced its share of drone accidents and near misses. In one recent case, a drone almost collided with the skier it was photographing. In other cases, drones crashed into a group of fans at football games. In these cases, liability insurance would have covered claims against the drone owner and operator for bodily injuries injury and property damage. Hull and payload insurance would cover damage to the drone itself and its camera equipment. 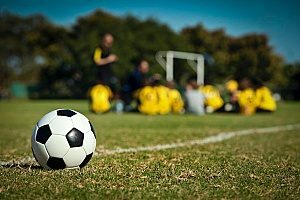 Uses for drones around sports venues has gotten to the point that the stadium owners and managers should also make sure they have insurance against drone accidents that happen on their property. Drones mean “better, faster and more”. Camera drones are becoming necessary pieces of equipment in all sectors of the real estate industry. It is a convenient way to capture beautiful exterior images of properties for sale. Appraisers can save themselves a lot of time and energy by using drone images of instead of walking around every area of every property. Builders can use them to safely and carefully inspect ongoing construction, especially high-rise buildings. In surveying and mapping, drone sensors improve the accuracy beyond that possible without them. Liability, hull, and payload insurance are necessary for drone operations in real estate. 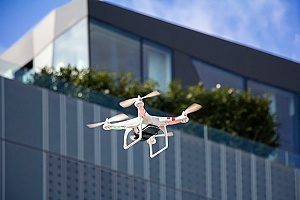 Real estate presents additional risks because the drones fly over private property and are subject to claims of invasion of privacy. Personal injury insurance is designed to protect your business against such claims when a drone photographs activities occurring on private property. High altitude drones are vital to the cinematography used in major motion pictures. They are not only cheaper than using helicopters or airplanes, drones do a better job for a couple of important reasons. They are lightweight, particularly stable, and they can capture angles and scenes impossible to achieve by traditional aerial photography. With proper authorization from the government, these high altitude drones can reach an altitude of a few miles. The risks presented to the owners and operators with these uses for drones are enormous however. Collisions with other aircraft or birds in mid-air are a bigger risk at these higher altitudes. For this activity, they need a full range of insurance coverage, including liability, hull, payload, and personal insurance. Innovations in drone technology for use in live entertainment prove how amazingly versatile drones are. They rely on software, careful choreography using multiple drones, and expert drone operators. These drones are constructed with special safety features. Unlike many drones in regular use, these are extremely lightweight, can fly in light rain, have a soft frame made of flexible plastics and foam with no screws, and have special controls and propellers surrounded in special cages. These specially built drones enable them to be more safely used in live shows like one Disney is planning. Disney wants to use a choreographed fleet of drones to animate giant marionettes. The drones would fly the marionettes over the crowds in the theme parks. 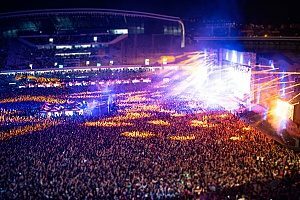 Cirque du Soleil is one that already has uses for drones in their shows, as do other outdoor entertainment venues and light shows around the world. In a popular show in France, drones perform synchronized aerial choreography and carry light displays less than 500 feet away from the spectators. The show features lighting, audio, visual, pyrotechnic, and special effects. With so many drones operating near a crowd of people, a drone accident here could cause significant injury and damage. Even drones designed to minimize injury and damage can present risks. A falling drone can easily distract someone and cause them to trip and fall, or it can trigger panic in the crowd, leading to injuries. Drones are exceptionally useful in locating disaster survivors. They can be outfitted with heat sensors to detect life in search and rescue operations, allowing the first responders to locate survivors in places impossible to reach without a drone. Also, drones can deliver food and medicine. In these scenarios, important insurance coverage includes liability, hull, and payload as described earlier. In these cases, the owners and operators should also make sure their ground equipment is covered as well. Monitoring crops and livestock is possible in the comfort of an office. Checking on the condition of outbuildings after a storm is easy. With the right payload equipment, the farmer can count livestock heads, stay updated on crop health, and even check for specific crop diseases. Do not take the risks of these uses for drones lightly. Make sure your drone business is protected against damage caused from a drone accident. Consult with the drone insurance experts at Insure My Drone for more information.